If you're a reggae fan, you've probably heard several urban legends about how Bob Marley died. He was in the prime of his career when he was diagnosed with cancer, which killed him at age 36. A devout Rastafarian, Marley's faith would play a profound role in how he sought treatment. In 1977, Bob Marley was diagnosed with malignant melanoma, a kind of skin cancer, after doctors found a lesion on a toe he'd injured in a soccer game. At the time, physicians recommended having the toe amputated. However, Marley opposed the surgery. 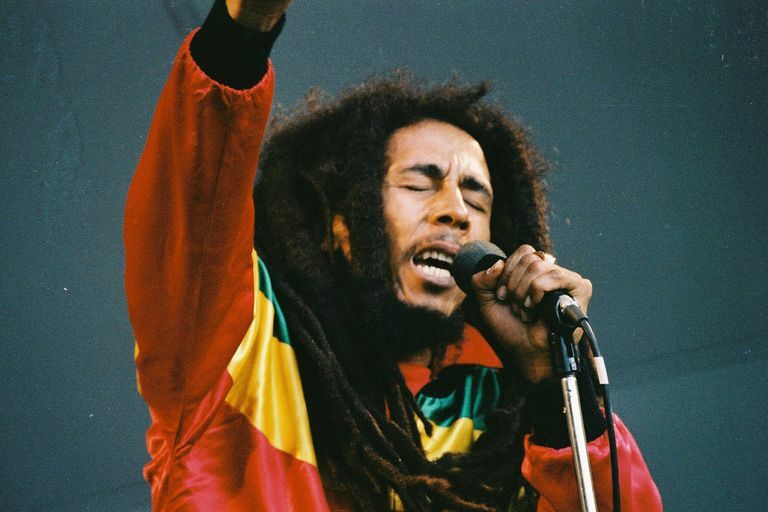 As a devout Rastafarian, Bob Marley adhered strongly to the tenets of his religion, which includes a belief that amputation is sinful. A Bible verse that Rastafarians hold as very important is Leviticus 21:5, which says, "They shall not make baldness upon their head, neither shall they shave off the corner of their beard, nor make any cuttings in the flesh." The first part of this verse is the foundation of the belief in wearing dreadlocks, and the second is the basis for a belief that amputation (as well as other types of body modification) is sinful. Other verses, including those which refer to the body as a holy temple, may also influence this belief. Rastafarianism teaches that death is not a certainty and that truly holy people will gain immortality in their physical bodies. To acknowledge that death is a possibility is to make certain that it will come soon. It is believed that this is the reason that Bob Marley never wrote a will, either, which resulted in difficulty in dividing his assets after his death. By the late summer of 1980, cancer had metastasized throughout Bob Marley's body. While he was in New York City for a performance Marley collapsed during a jog through Central Park. He performed for the last time in September of 1980 in Pittsburgh, a performance that was remastered and released in February of 2011 as "Bob Marley and the Wailers Live Forever." After the Pittsburgh concert, Marley canceled the remainder of his tour and traveled to Germany. There, he sought the care of Josef Issels, a physician and former Nazi soldier who had gained a reputation for his controversial cancer treatments. His treatment methods appealed to Marley's Rastafarian aversion to surgery and other forms of medicine. Despite following Issels' regimen of diet and other holistic treatments, it soon became clear that Marley's cancer was terminal. The singer boarded a plane to return to Jamaica, but he rapidly declined en route. At a stopover in Miami on May 11, 1981, Marley died. According to some reports, his final words were spoken to his son Ziggy Marley: "Money can't buy life." To this day, some fans still harbor conspiracy theories about Bob Marley's death. In 1976, when Jamaica was roiled by political turmoil, Marley had been planning a peace concert in Kingston. On Dec. 3, while he and the Wailers were rehearsing, armed gunmen broke into his home and confronted the musicians in the studio. After firing several shots, the men fled. Although no one was killed, Marley was shot in the arm; the bullet would remain lodged there until his death. The gunmen were never caught, but rumors circulated that the C.I.A., which had a long history of covert activities in the Caribbean and Latin America, was behind the attempt. Some would blame the C.I.A. again for the cancer that eventually killed Bob Marley in 1981. According to this often-repeated tale, the spy agency wanted Marley dead because he had become so influential in Jamaican politics since the turmoil of 1976. An agent allegedly gave the singer a pair of boots that were contaminated with radioactive material. When Marley tried on the boots, according to the urban legend, his toe became contaminated, eventually causing the fatal melanoma. In a variation on this urban legend, the C.I.A. also recruited Marley's physician Josef Issels to ensure their assassination attempt would succeed. In this rendition, Issels was not just a former Nazi soldier but an SS officer who used his medical training to slowly poison Marley when the singer sought treatment from him. None of these conspiracy theories have ever been verified. What Is Rastafarianism and How Did It Influence Bob Marley? What are the Must-Have Bob Marley CDs?